As much as Plume loves WiFi, we have to admit WiFi is the cause of most bad Internet experiences in homes. It turns out that over the years internet service providers have gotten their acts together pretty well, at least in regards to providing consistent broadband access to homes once everything is set up right. (Getting it set up is another matter all together!) In fact, studies show that the broadband access that comes to most people’s homes is up 99,9% of the time (ATT, Verizon, and Time Warner, service guarantee). Despite the Internet arriving reliably to the edge of people’s homes, just getting the connection across your home on the WiFi is much less reliable. How can this be?? 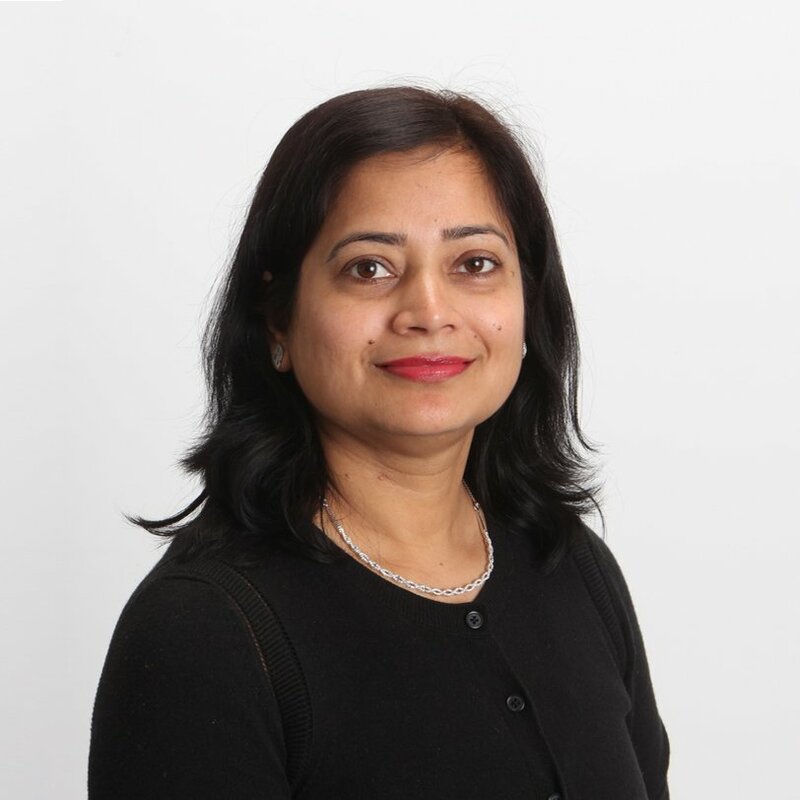 Today, we consume more of our content on devices that connect via WiFi, and wireless is often the only way to get the signal around inside of our homes. This presents a significant challenge. The figure below shows the wireless signal radiating away from the transmitting antenna. It visually shows the signal spreading out more and more as it travels further from the transmitter. The power that is transmitted is spread out over a larger and larger area as it travels, making the signal that can be grabbed off the air by receiving antennas that are farther away weaker. (See, you do have physics intuition.) In fact, the signal gets weaker with the square of the distance; twice as far, one fourth the power received; four times as far, one sixteenth the power received. 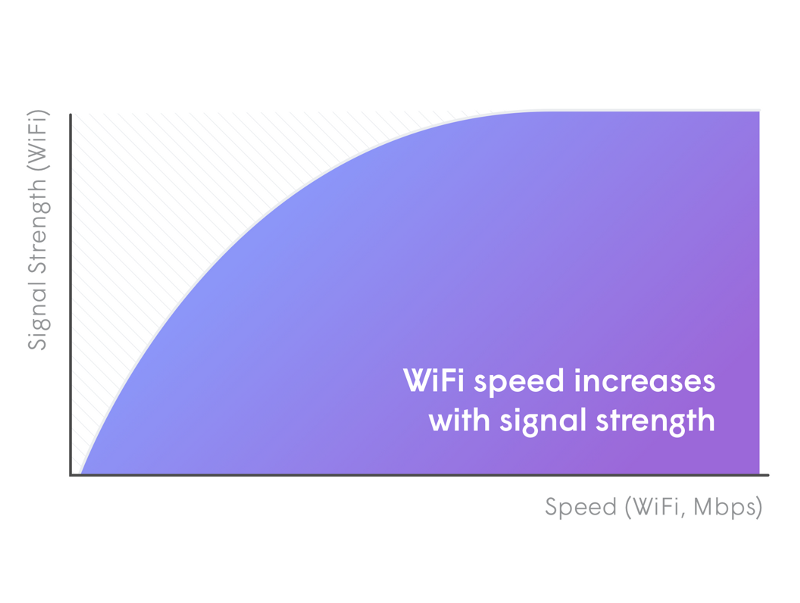 Through this chart, you can foresee that, by the time your router’s WiFi signals cross the doorway out the living room and enter into your bedroom, your signal strength has almost deteriorated to nothing. As depressing as that reality is, it is nothing compared to the problem of the signal getting through the stuff that is in the way. The illustration below shows how much the signal is cut down by typical stuff you might find in a home. It gets worse as you fill up a house with different objects and materials — the losses multiply up, so going through just three walls could result in 1/4*1/4*1/4 = 1/64th the signal strength! And remember there is also the loss from just traveling that distance as described before that multiplies on. Long story short, sending a signal all the way across your house, through six walls in a single shot, is going to result in pretty low signal strength. 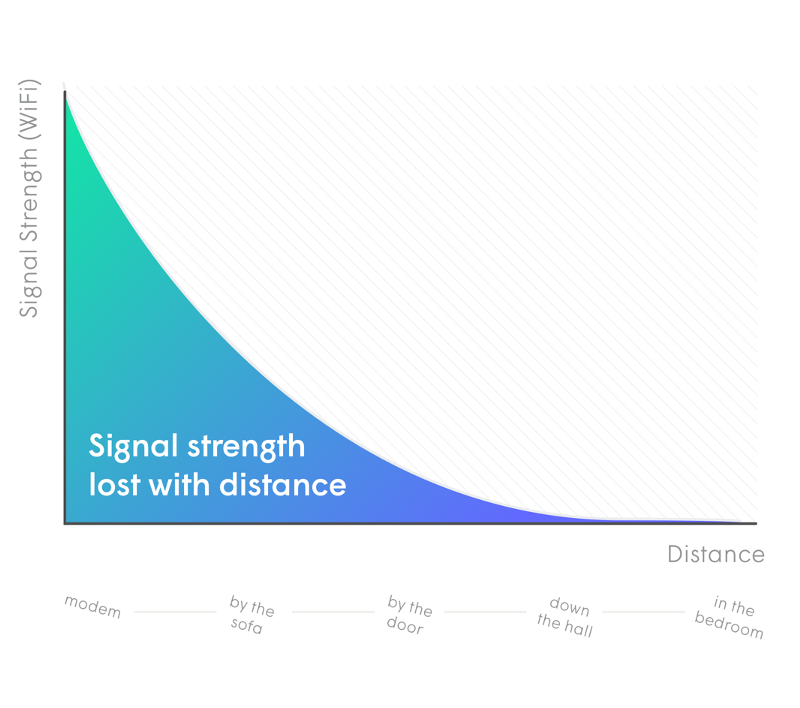 Low signal strengths equal low data rates. Clearly we need to keep the distance short. You could only use the Internet in the room where your WiFi access point is, but few families really want to be that close that much of the time, and it would make the rest of your place seem not worth having. 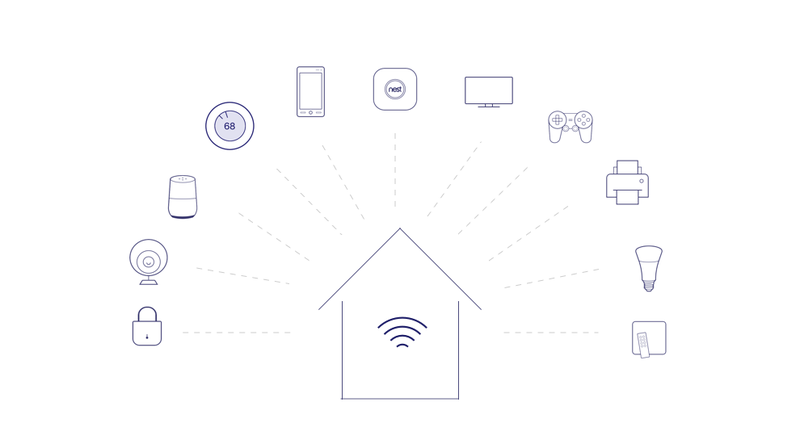 What is needed is a distributed and adaptive WiFi system, with a Plume Pod in each room in your home, and the Internet traffic forwarded from one device to another. The secret to this system is the signals never need to go very far. The signal goes from room to room, getting fresh start each time it is re-transmitted. The signals stay nice and strong, the data rates stay nice and high. Just adding one or two WiFi devices will likely not be enough. If you want great, consistent, unstoppable WiFi, you need more. Plume Wi-Fi goes in every room. Don’t let all the WiFi devices sit on the same channel interfering with each other. WiFi repeaters and the new mesh systems do this — they end up all on the same channel dividing the throughput right back down! Plume carefully controls the system from the cloud, setting different links on different frequencies so all of them can go at high speed all the time. Adapt to the situation. Is your neighbor’s WiFi screaming away? 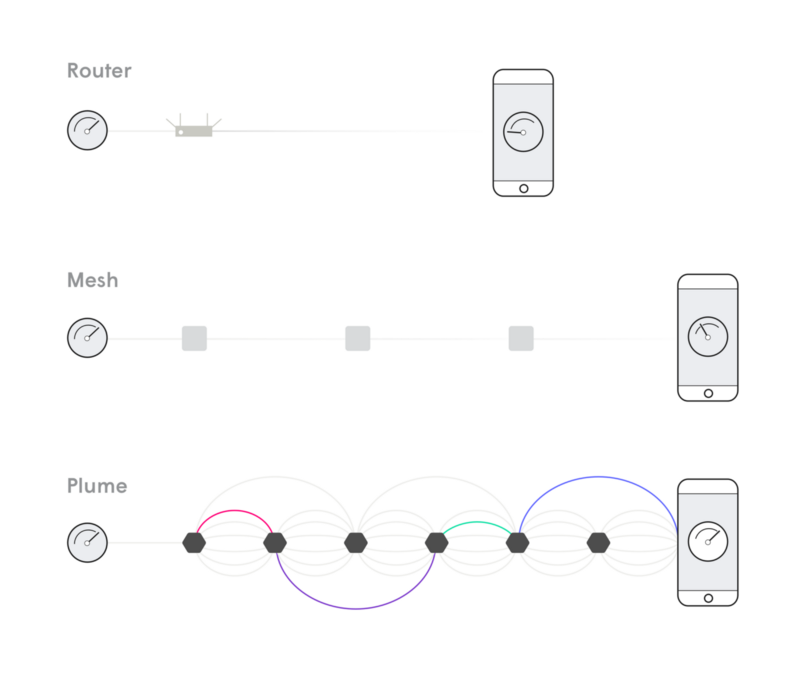 Plume detects the interference and moves your network to other channels. Get someone on your side. Plume manages your system from the cloud. We detect if something is out of whack and re-optimize your network before you even notice there is an issue. The following diagram compares the WiFi performances for a hypothetical home equipped with a traditional single AP, three mesh devices (or an AP and two repeaters), and the Plume adaptive WiFi system. Being wireless, WiFi starts at a huge disadvantage compared to the wired broadband access coming to your home. There is little chance your current WiFi system can overcome this handicap. Something better than repeaters or mesh systems is required. Adaptive WiFi — the more that actually is better.